Guide To Using Your Sports Premium and Creative Ideas To Get Started! 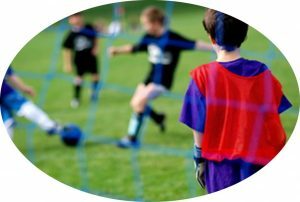 This summer the UK Department for Education announced that all primary schools will receive an increase to the Primary PE & SportPremium. The additional funding essential doubles individual pupil funding allocations, with the intention that every primary school will be able to improve its PE and Sport provision. This is effective as of the 17/18 academic year, and the Government has pledged a commitment until at least 2020. So, we’ve put together a handy guide on how you can use your additional money and what types of products tick those essential funding criteria boxes. Read on for the options that are available to your school. You basically have 3 key areas to consider. Introducing new sports or activities, creating more extra-curricular activities and upskilling teachers. You can’t, as stated by the DfE..
To be eligible then, your school must implement ‘sustainable improvements to the provision of physical education and sport’. From the above we can see that schools have a lot of options open for funding allocation and what resources and programmes should be improved or introduced. The DfE has advised that schools need to address the long term impact of improvements as a result of funding and ensure that future pupils will benefit too. Need some inspiration? 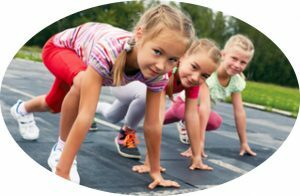 Here are some ideas about how to make the very most of your Sports Premium with equipment from The Playground Equipment. From goal ends to basketball courts, our MUGAs are ideal for staging competitions including with other schools, active team sports as part of lessons and extra-curricular activities that are accessible for all pupils. View our range here. Support your less active pupils, help them engage with outdoor activity and put wellbeing at the top of the agenda with our outdoor fitness products. A great resource for supporting staff. View our range here. Got some reluctant pupils who need a helping hand discovering sport, or want to encourage your class to get involved with something totally new? Our creative, dynamic games are perfect for introducing entirely different activities! View our range here. Makings allow your school to improve sports resources in a quick and affordable manner. They’re an ideal canvas for competitive team sport, inter-school events and engaging extra-curriculas, and help support staff in introducing new activities. View our range here. And remember, The Playground Company can personalise products and designs to the exact requirements of your school. To find out more, get funding advice or requesta quote please call our friendly team 0800 975 564, or email info@theplaygroundcompany.co.uk .